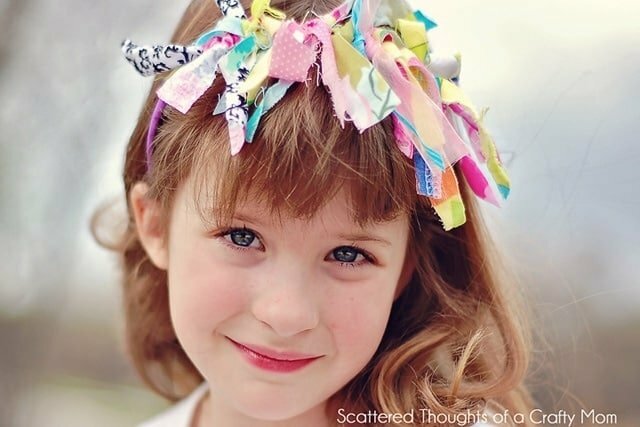 What do you think of this little headband? Cute isn’t it? I bought some headbands a while back and had told her we could decorate them. Of course, once we got home they were immediately misplaced. She found them one afternoon and came to my office/craft room and was whining about how we never decorated them. I was paying bills online (which never puts me in a good mood) so I just tossed her a bunch of fabric scraps to play with and told her to have at it. After a few minutes, I looked down at what she was doing. I couldn’t believe how cute her little headband was! I felt a little guilty for not helping her, so I stopped what I was doing and cut her a just a few more small strips from the scraps so she could finish. When she was done with her headband, I trimmed the ends so they were a bit more even and made sure her knots were tight. Then we went outside so we could take pictures of her wearing the headband. We have made a few more since then. 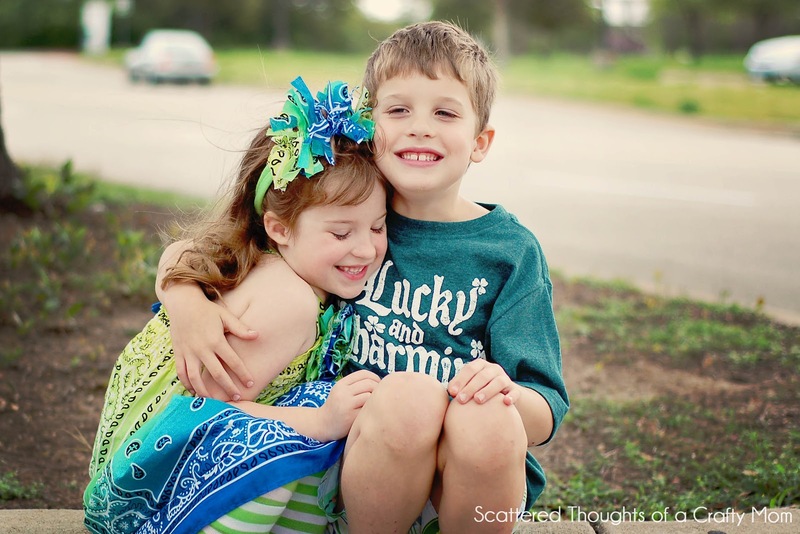 I made the blue and green bandana headband in just about 15 minutes in the car. She made the pink organza ribbon one and I trimmed that one up a bit more so it would look more even. 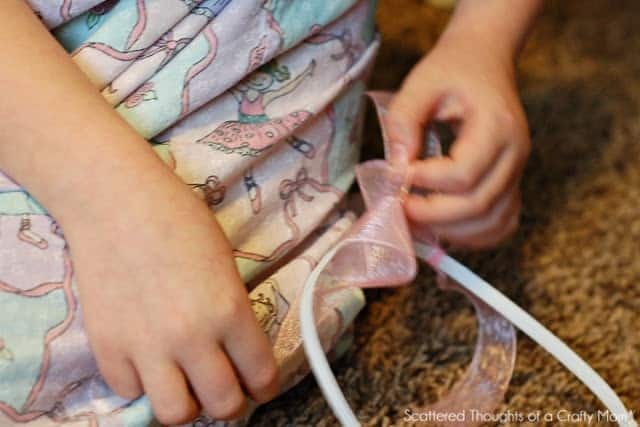 Let your little one simply tie the fabric strips in knots around the headband. 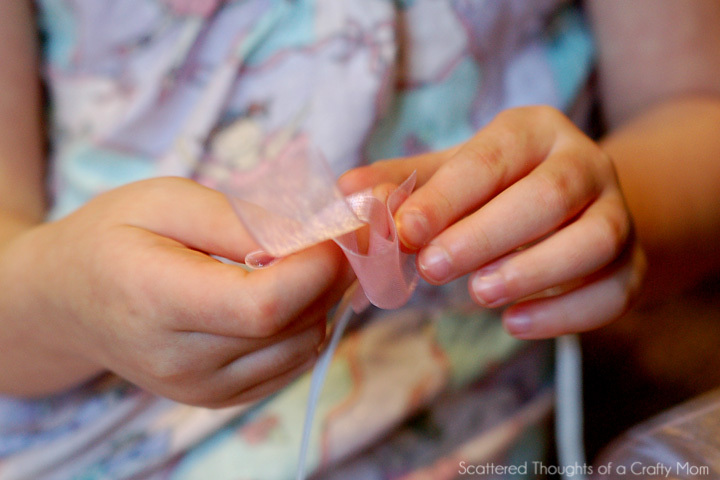 Once she is done, you can tighten the knots and push the strips together. You will probably want to trim the edges for a more even look. She wore this one on St Patrick’s day. 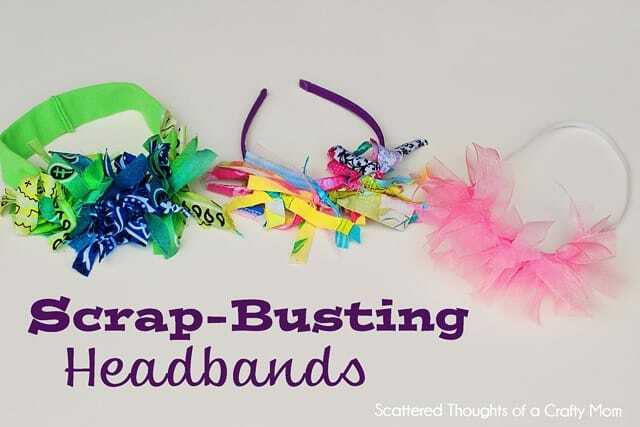 Have fun making some of these scrap busting headbands of your own! That is adorable! I love the colors! I would love for you to share it at my new party which will be open this evening- "Pin It and Win It Wednesday" @ http://www.cheapcraftymama.com! Love these! I know what I'm making this week with the girls. 😉 thanks Jamie! I love the handkerchief dress and headband the best! So cute! wow great idea! i will be getting my daughters onto making these in the next few days!! This is a really great project! They are so adorable! I would love it if you would come link this up at my Pinworthy Projects Link Party. Such a creative idea! Really makes the outfit! Thanks for sharing! Gorgeous headbands! What a talented and inventive little girl you have! Craftiness is hereditary and your kids will get it in some fashion. My oldest daughter got some of it from me. 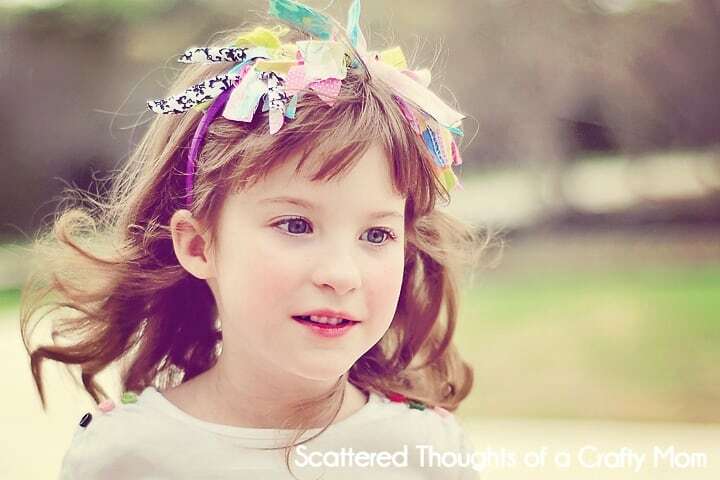 The headbands are very cute – I do believe you have an up in coming crafter in your midst. I love that your daughter put it together herself. So sweet. Thanks so much for sharing at Whimsy Wednedays. Please go grab a button. Thank you for sharing your idea with us at Cast Party Wednesday! These are super cute, as always. I was planning on using scraps to let my kiddo make some flip flops but didn't think about a headband. She'd love doing that too. 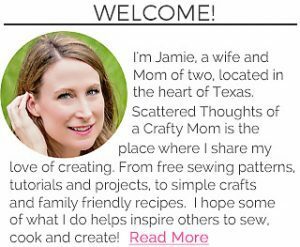 Thank you for sharing on A Crafty Soiree. Wow. Amazing. Your little girl is so creative!